Pizza is a popular lunch choice for students heading back to school in Las Vegas. 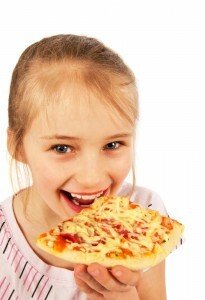 There are many ways to add pizza pizzazz to a student’s school lunch. As school activities get underway in Las Vegas, parents face not only the return to a demanding academic calendar but also a slate of extra-curricular activities. This whirlwind of activity can make it difficult to find time for elaborate meal-planning, but there are many ways to build variety into your child’s lunch menu. Pizza is a favorite, and you can use this to motivate your young scholar as you work your way back into the swing of things. Lunch kits are a go-to choice for busy parents, and keeping a few on hand makes it easy to provide your child with a quick choice on a rushed morning. When you have a bit of time on the weekend, you can even create your own pizza kits as you bake fresh crusts and package toppings that may not be found in the store-bought kits. You may even want to sneak some healthy ingredients into that mix as you use veggies to enhance the nutrition of your pizza sauce. If your child doesn’t typically buy lunch at school, pizza day is often a great opportunity to indulge in a break from your routine. As monthly menus are sent home, circle those days to ensure that you don’t miss the mark. After all, your child may not be quite as appreciative to buy lunch on fish sticks day. You can really take your child’s school lunch to another level by including the best pizza in Las Vegas. Pick up your youngster’s favorite the night before so that you can pack a couple of slices in the morning. Even better, find out whether the school will allow a parent to eat with a child during lunch hour, and bring freshly baked pizza to the school as a special treat. You’ll make a memory as you make your child’s day.